Fighting for your country is a great honour yet many war heroes suffer from emotional and physical trauma later in life due to over- exertion and the mental tragedies endured. 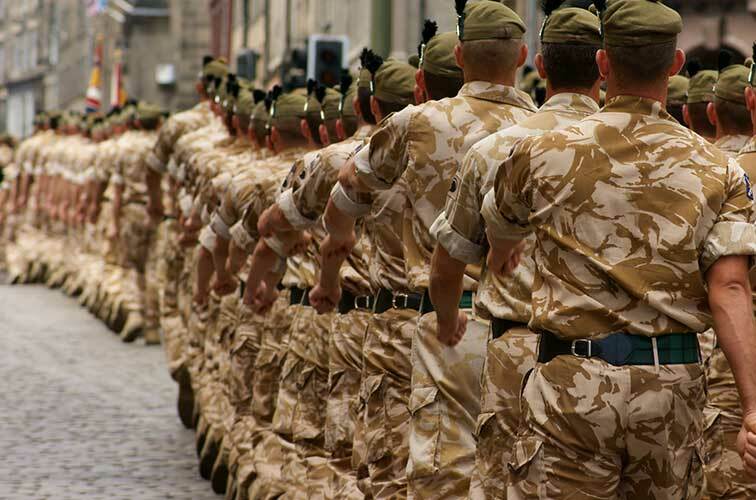 As a war veteran you are entitled to free chiropractic care at King Street Chiropractic and Natural Health Centre in association with the Hands for Heroes scheme. The Hands for Heroes mission: “To provide 9,000 UK veterans from Afghanistan and Iraq operations access to £3.5 Million of free Chiropractic Care by the end of 2011 and every year thereafter for the next twenty years in order to help relieve the debilitating effects of physical, mental and chemical stress and trauma. To register, please visit www.handsforheroes.org and click on Veterans’ Registration or call us on 01782 612397 for more information.